“From the minute I called Collier Pest Control, I was impressed,” says Diane. “The receptionist went far and beyond the norm of being courteous, sweet and kind. I didn’t know anything about them but my impression started with that first phone call. Diane’s homes are meticulous and pest-free. However, Florida is home to thousands of insects. And often they find their way into even the very nicest homes. “About six months ago we discovered carpenter ants in our bedroom,” says Diane. “Gene, our service technician, came out not just once, not just twice, but three times to rectify the problem. Those ants just kept multiplying and we just couldn’t find the source of the infestation. So finally, we pulled up the carpeting in the master bedroom and found the trail behind the baseboards leading to the shower area in the bathroom. Another time Diane says they had a swarm of an unidentifiable insects at their Goodland home. Diane says she has never dealt with a service company that is so prompt and courteous. “If they are running late I get a call,” she says. “Or, if they are early, they will politely wait in the driveway until the scheduled time. I have never seen anything like it in Florida. “If you’re looking for a pest control company, I can only recommend one: Collier Pest Control. They are phenomenal and professional. 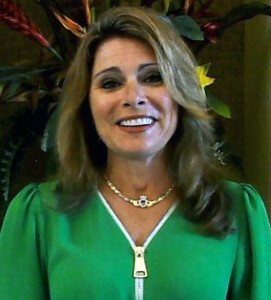 Click Below to hear what Diane Lawson has to say about Collier Pest Control.